Goddard’s Acoustic Test Chamber is a 42-foot-tall chamber that uses 6-foot-tall speakers – which can create sound levels of up to 150 decibels – to simulate the extreme noise levels of a rocket launch. While vibration testing focuses on how much the spacecraft will shake during launch, acoustic testing subjects the probe to intense sound forces, like those generated by the Delta IV Heavy. Each type of force affects the spacecraft differently, so both tests are necessary. 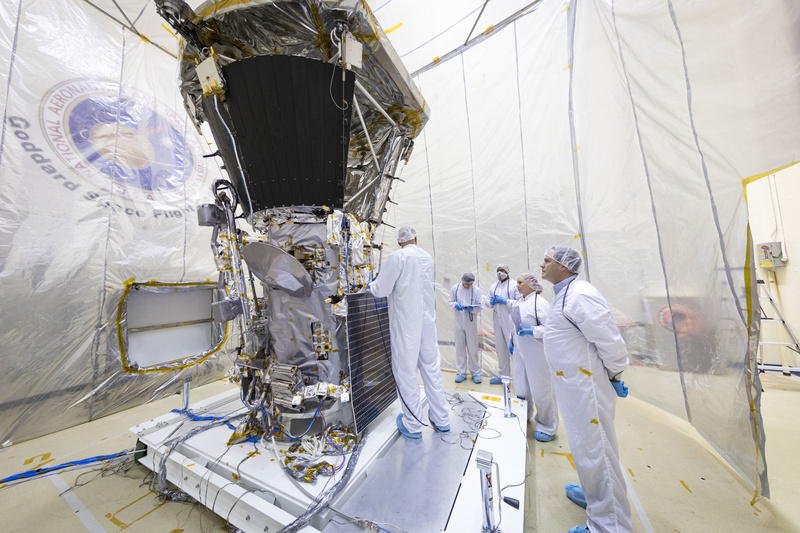 The Parker Solar Probe spacecraft will explore the Sun's outer atmosphere and make critical observations that will answer decades-old questions about the physics of stars. The resulting data will also help improve how we forecast major eruptions on the Sun and subsequent space weather events that can impact life on Earth, as well as satellites and astronauts in space. The mission is named for Eugene N. Parker, whose profound insights into solar physics and processes have helped shape the field of heliophysics. Members of the integration and testing team roll Parker Solar Probe into the Acoustic Test Chamber at NASA’s Goddard Space Flight Center in Greenbelt, Maryland. 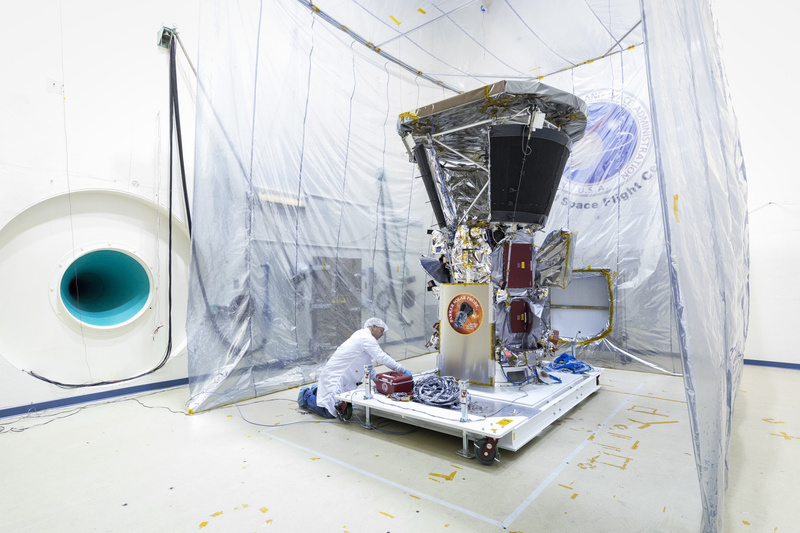 A member of the integration and testing team prepares Parker Solar Probe for environmental testing in the Acoustic Test Chamber at NASA’s Goddard Space Flight Center in Greenbelt, Maryland. 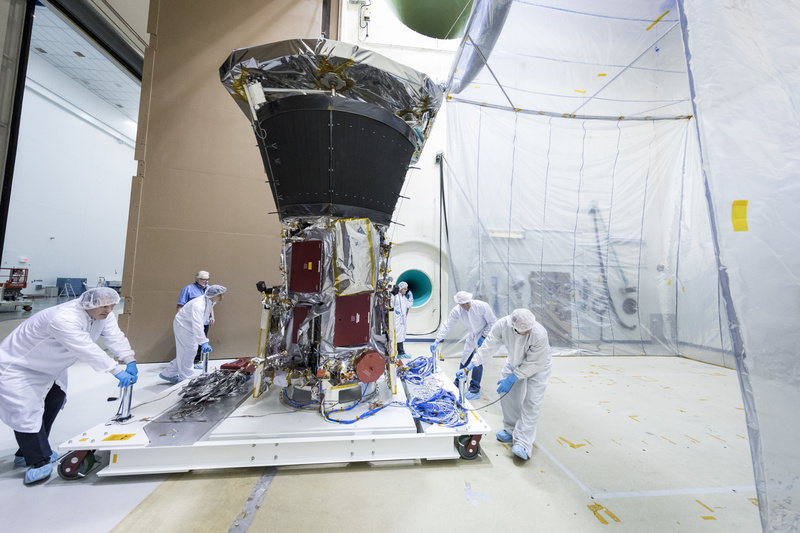 Members of the integration and testing team prepare Parker Solar Probe for environmental testing in the Acoustic Test Chamber at NASA’s Goddard Space Flight Center in Greenbelt, Maryland. 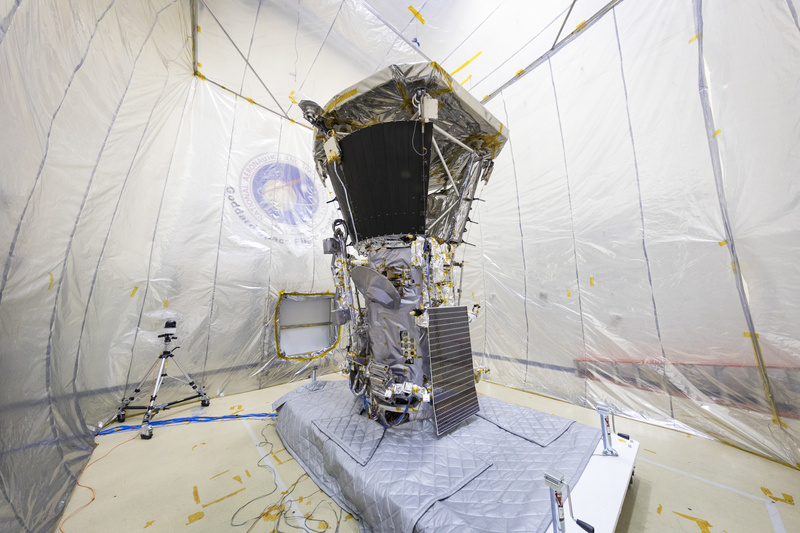 Parker Solar Probe sits in the Acoustic Test Chamber at NASA’s Goddard Space Flight Center in Greenbelt, Maryland. 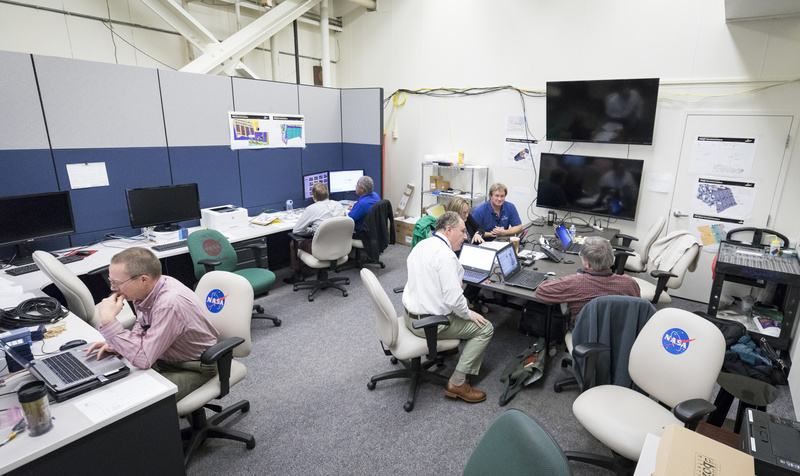 Members of the integration and testing team monitor acoustic testing of Parker Solar Probe in the Acoustic Test Chamber at NASA’s Goddard Space Flight Center in Greenbelt, Maryland.